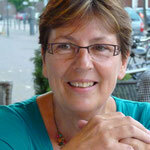 Inge Teunissen coordinates the training for Pampamesayoq of Centre Serena in the Netherlands. She also coaches the students. Inge studied Cultural Anthropology and worked for many years as a personnel and management adviser in government organizations. In 2007 she started a practice for natural healing based on Q’ero shamanism. She lives her dream by assisting the Q’ero paqos to spread their ancient wisdom and prophecy on behalf of Western European society and people. 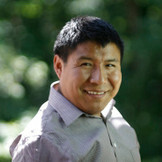 Dennis Alejo Mango was born in the southern high part of the Andes in Peru to an indigenous Quechua speaking family. As a young man Dennis met a number of medicine men, who are known as paqos, from a region in Peru that is inhabited by the Q’ero people. In Peru the Q’ero are known as the direct descendants of the Incas. Although Dennis had never before been interested in spirituality, upon meeting the Q’ero paqos he instantly felt an inner calling to learn more about their spiritual cosmology and the healings they practise within their communities. Immediately Dennis started to make pilgrimages to the distant Q’ero nation in order to study and train with the paqos. Over the years, Dennis and the paqos developed a close relationship and realised they had a lot to offer each other. Dennis learned that many of the paqos had had dreams and visions of traveling in huge condors (airplanes) to unfamiliar and foreign countries, i.e. Europe and North America, to share their wisdom and to offer their healings to people who needed this desperately. Dennis founded a company called Back2Nature that allowed him to take the paqos with him to these far-away countries and to help them to share their healings and to teach people from other cultures their ways of healing. As Dennis continued his apprenticeship with the paqos, they began to fulfil the prophecies that had been revealed to them in their dreams and visions. Deeply touched by the teachings and the healing work of the paqos it is Dennis’s biggest dream to share the pure wisdom of the Andes with the Western world.